Add comments to individual tracks. All data will be saved in the global song comments using a special syntax. 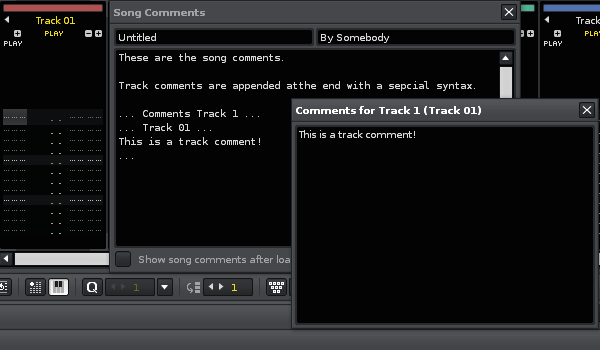 Right clicking on a track --> Track --> Track Comments will open a popup comment editor.